You have 1939 characters. Don’t forget to add important and relevant keywords in your description to improve your iTunes app page and optimize your SEO. 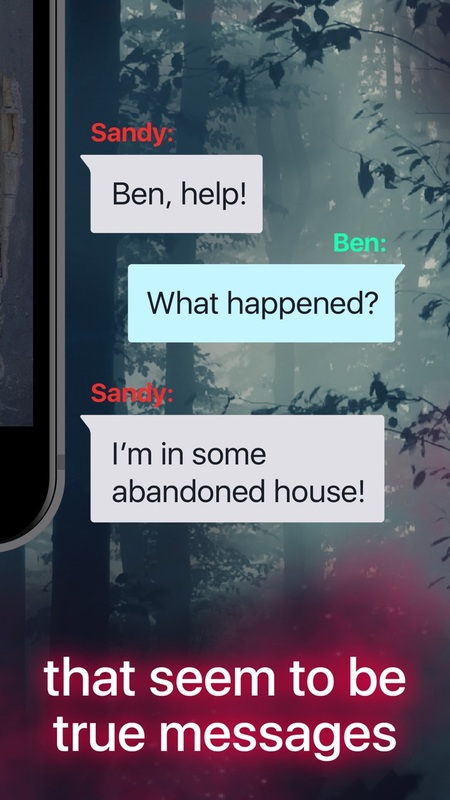 In the Abyss app you will find dozens of breathtaking chat-stories. Take a look into the chat of our characters and find out who they love, who they are jealous of and what frightens them. Dive into the intriguing fictional reality and experience a feeling of being involved in a story. Remember yourself being a child hiding under the blanket with a book and a flashlight, binging a chapter after a chapter... As soon as you start reading, you are no longer a passive onlooker but a real partaker. 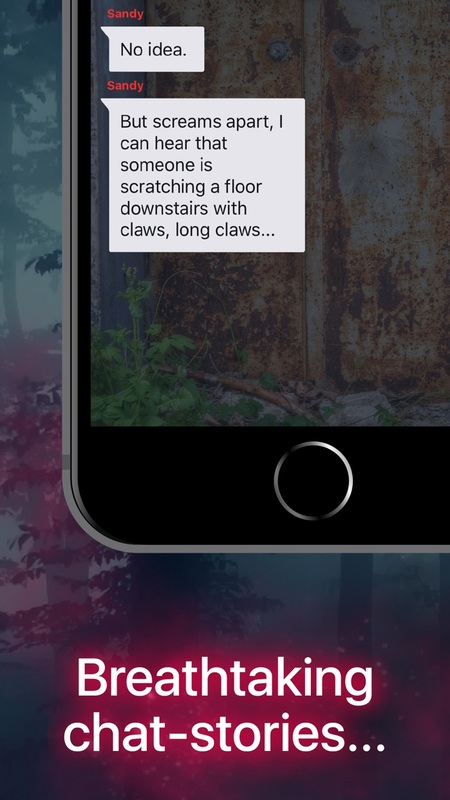 You will hardly be able to tear yourself away from chat-stories. Read them on your way home, to school, college or work. By the way, you can back get to reading anytime – the app always "remembers" the moment you stopped at. 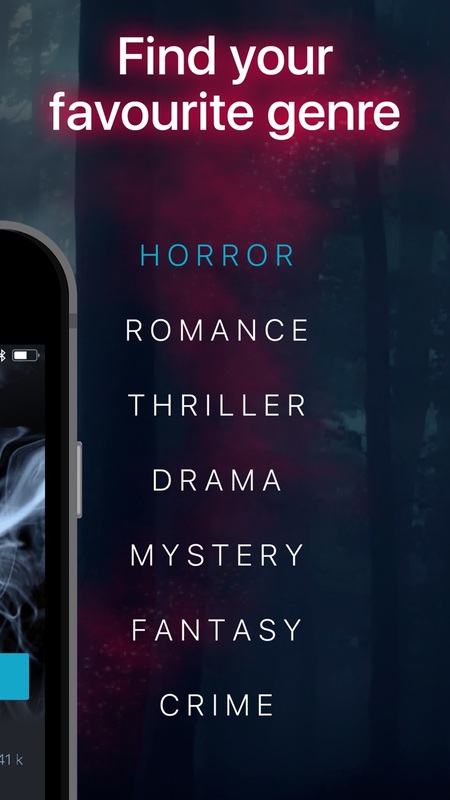 Choose your favorite genre – we tell horror, mystic, romantic, fantastic, crime stories and many others. Read stories nonstop by purchasing a subscription. Choose a convenient payment period ($3.99 a week, $11.99 a month or $58.99 a year). The subscription fee is charged to the account linked to your Apple ID after confirming the purchase. The subscription is automatically renewed at the end of the current billing cycle. You can cancel the subscription more than 24 hours before your renewal date, in this case it remains active until the end of the current cycle. You can manage your subscriptions in your Apple ID settings after purchasing. If a free trial period is provided, it stops on activating a subscription, regardless of its duration and start date. Collect gems while reading and use them to choose the desired line in our special quest stories. You can also purchase the following gem packages: 20 gems for $1.99, 60 gems for $4.99, 250 gems for $19.99, 550 gems for $39.99 and 1500 gems for $99.99. 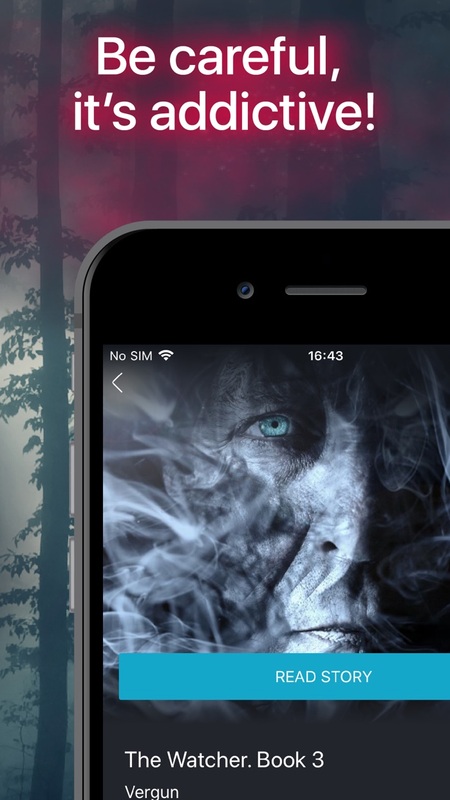 If you have a story to post in the app, please, email us at chatfiction.team@gmail.com.